SinoCorrugated is a professional trade show on corrugated equipment and consumables. Founded in 2003, it is organized by Relx Group and held every two years. The exhibition scale is up to 67,000 square meters, gathering more than 700 domestic and foreign well-known equipment and consumable exhibitors, more than 200 packaging containers, materials and design suppliers. Display more than 1,400 sets of corrugated, color box, flexo printing, paper packaging and processing equipment and more than 1,000 kinds of related consumables. At this exhibition, we will take our device BM 2508 PLUS to show the box making process directly. BM2508-Plus is a multi-functional machine of horizontal slotting and scoring, vertical slitting and creasing, horizontal cutting. And it adds the function of die-cutting handle holes on both sides of the carton box. 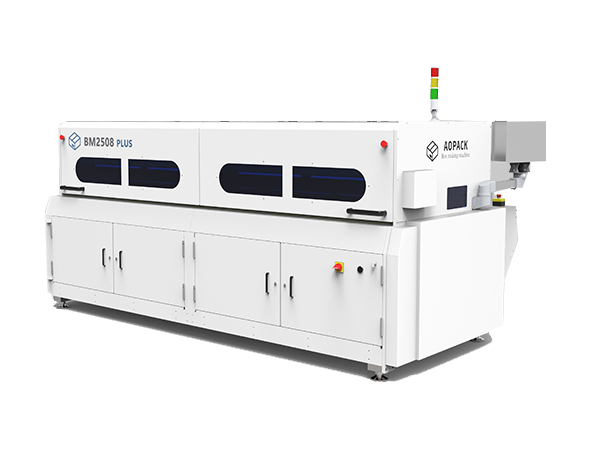 It is now the most advanced and multi-functional box making machine, providing all kinds of customized packaging solutions for end users as well as box plants. What should I prepare to get an offer ? What kind of box you usually use and its size? What production capacity you required? How many people will attend the exhibition this time ? 5 people will attend this fair, they are very professional in their field. Ms. Anna Qin and Mr. Edward Chan are our company’s sales manager . If you have any question before deal, please feel free come to Ms. Anna Qin and Mr. Edward Chan. And any question about technique, please feel free to ask Mr. Hongtao Guan. About the after-sales service, you can ask Mr. Hongliang Fan. Can you recommend some hotels for us? MOTEL 168 （The Bund）, Novotel Shanghai Clover, The QUBE Hotel Shanghai Pudong. How to get to Sino Corrugated? Sino Corrugated 2019 will open at Shanghai New International Expo Centre (SNIEC) which is located in Pudong New Area of Shanghai and easily accessible using many means of transport. The public traffic interchange named “Longyang Road Station” for buses, metro lines and maglev, stands around 600 meters apart from SNIEC. It takes about 10 minutes to walk from the “Longyang Road Station” to the fairground. In addition, Metro Line 7 is direct to SNIEC at Hua Mu Road Station whose exit 2 is close to Hall W5 of SNIEC. Subway: Take Line 2 to Longyang Road Station, walk or transfer to Line 7 to SNIEC; about 40 minutes; fare is 4 RMB. Subway: Take Line 2 to Longyang Road Station, walk or transfer to Line 7 to SNIEC; about 50 minutes, the fare is 6 RMB. If you plan to come to visit us, please tell our colleague at exhibition. They’ll help you out. Our company is located at No.15, Hancheng Road, Bonded Harbor Area, Qingdao City, Shandong Province, China. We can pick you up when you arrived Qingdao Liuting airport. You can also send us an email to make an appointment. Any plans to visit Sino Corrugated 2019? Simply click on the button, and make an appointment now! 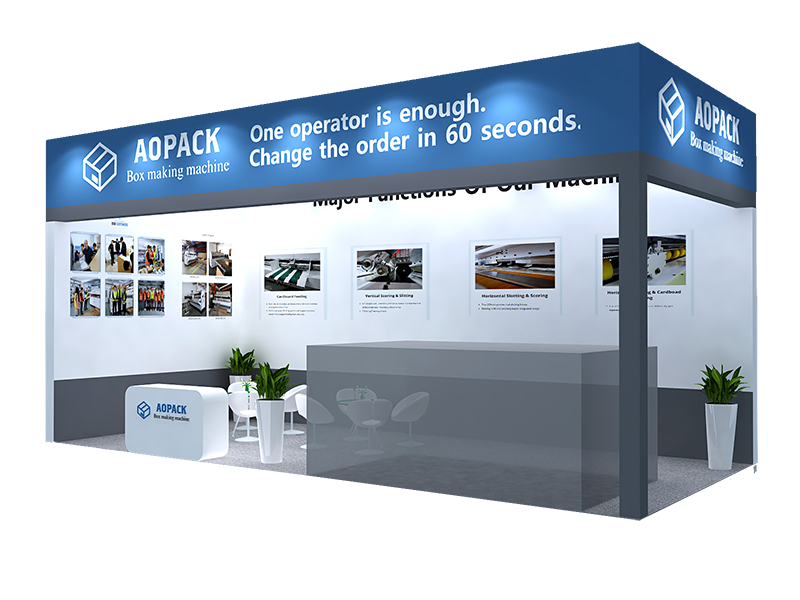 Aopack is a professional box making machine manufacturer in China, which committed to providing the best carton box machine solutions since 2014. Over past 4 years, we have invested over 1 Million dollars to develop our competitive box machines, it includes Corrugated Box Machine BM2508, Carton Box Machine BM2508 Plus, and Fanfold Cardboard Box Machine BM2508-Fanfold.